A post from the vaults. 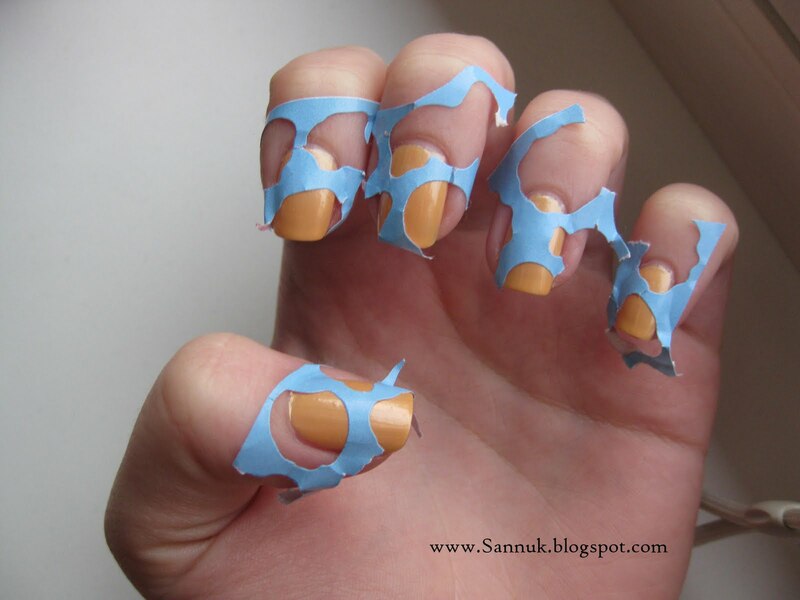 This is another tape mani. I used the net left after my sister took away all the stickers. It’s not one of my best works, sometimes things gotta go wrong too... And this went. On some places the stickers didn't hold onto the nail and some places it held on too strongly. Oooh! I think it looks great personally! I think this looks really cute! haha such a creative idea! What a smart way to use all of the material :) I think it looks cute. I still like it, and the idea is fun! I think it turned out pretty well! The colors you picked is spot on! The "spots" look great too! 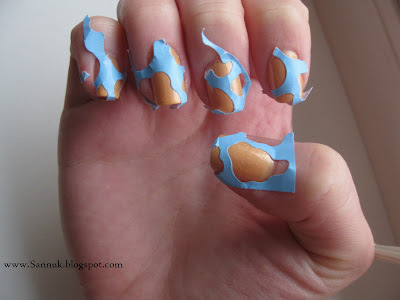 I like how you saw a use for the sticker cutouts, and did nail art with them. Very cool! Love the idea of the tape! I Do think it looks great!! Thanks for visiting! I followed you. I recently had a stamping mani go wrong I had to cover with some crackle topcoat. I think this is a great idea and I wouldn't have called it a fail! I just love the idea of using leftovers to create things. I think it turned out pretty sweet!